Julia Thompson in admission and financial aid shared the benefits of the UD Sinclair Academy with the Huffington Post. 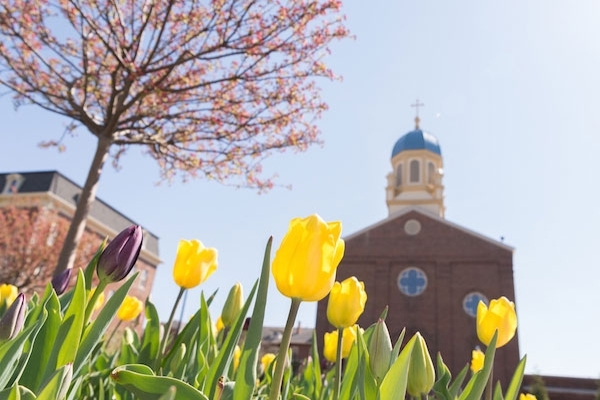 National Jurist's spring issue mentioned the School of Law in three stories and Tom Skill, UD chief information officer, was a guest of CIO Talk Network's podcast to discuss "Should CIOs be Futurists?" Regionally, Ohio news channel Spectrum News featured research from Kim Bigelow's Engineering Wellness through Biomechanics Lab. WVXU-FM, Cincinnati's NPR affiliate, highlighted the School of Engineering's wind tunnel in its Focus on Technology segment and interviewed the Human Rights Center's Tony Talbott about human trafficking. The Dayton Daily News ran an op-ed about the Green New Deal by renewable and clean energy expert Bob Brecha and tapped auto historian John Heitmann's expertise for its story, "Less Than 6K GM Workers Left in Ohio." The Dayton Business Journal and WHIO-TV reported on UD's new graduate certificate in autonomous systems. ABC22/Fox45 interviewed law professor Tom Hagel about a local investigation of a fatal car accident. Law professor Thaddeus Hoffmeister sat down with WHIO-TV to discuss penalties for fake 911 calls. A sample of the news coverage from the third week of March is below, and you can click here to view links to all of the University's media coverage during that period. A Green New Deal in the U.S. - Fantasy or Necessity? How Serious are Fake 911 Reports?